Nowadays, multifarious smartphones are available on the market, which are increasingly important in our life. And people, especially younger like to switch from one phone to another frequently. Android, iPhone and Symbian Nokia are the most popular phones now so data transfer between the three types of phones is becoming more and more common. 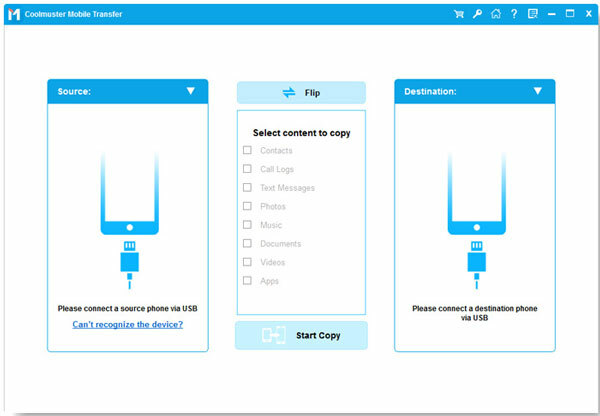 You can directly transfer photos and videos between two Android phones, but how to perform the data transfer between iPhone and Android, which are running two different systems? So, a helpful phone to phone transferring tool is eagerly needed now. One excellent transferring tool we strongly recommend here is Coolmuster Mobile Transfer. 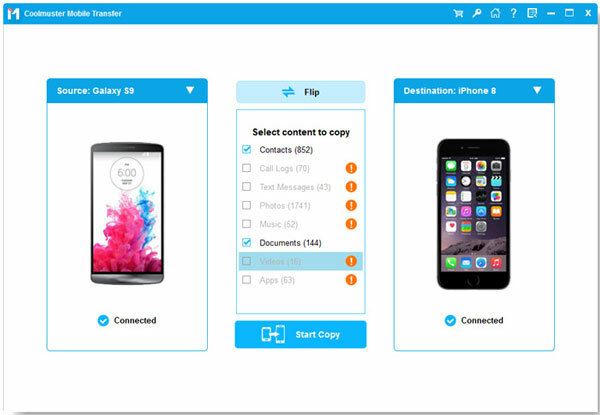 It is now widely spread and become popular among Android, iPhone and Nokia users to help them transfer contacts, text messages, music songs, photos, videos, apps, and etc. between iPhone 7/7 Plus/6S/6S Plus/6/6 Plus/SE/5S, Android and Nokia with easy and fast steps. Just download the Mobile Transfer on your computer to have a try. How to Transfer Data between iPhone, Android and Symbian? First of all, download and install the transfer tool - Mobile Transfer on your computer no matter you use Windows or Mac. Launch it and choose the first "Phone to Phone Transfer" mode from the main interface. You will be asked to connect your Android, iPhone or Nokia, any two of them, to the computer with two USB cables simultaneously. Then, the software will detect the two devices automatically. At last, you can mark the file types you want to transfer and hit on the left or right arrow to start the data transfer between iPhone and Android, or iPhone and Nokia, or Android and Nokia.